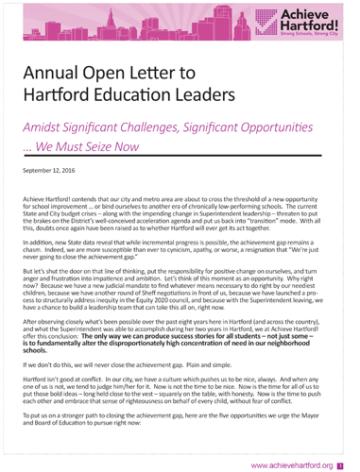 We have solidified our place on Hartford’s educational landscape as the premier crusading voice for high quality education. 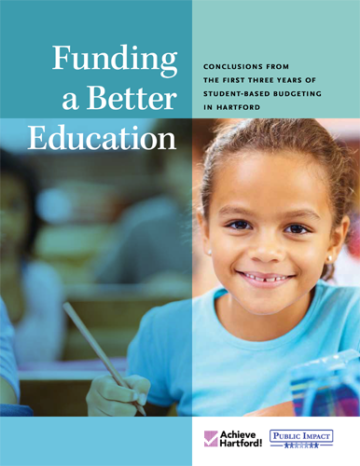 Our journey in advocacy began in 2008 by serving as a constructive friend in public education, shining a fact-based spotlight on the status of education reform in Hartford. 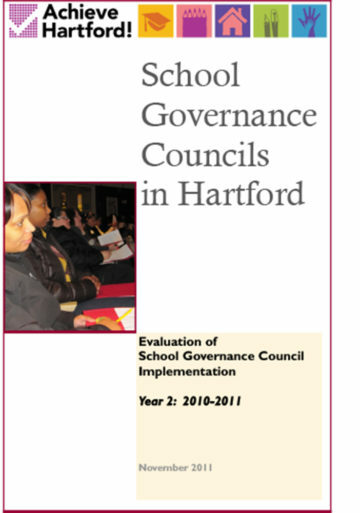 Through our many publications, videos and events we sought to provide context for education issues and drive accountability for producing positive outcomes for the 23,000 students and their families in Hartford. 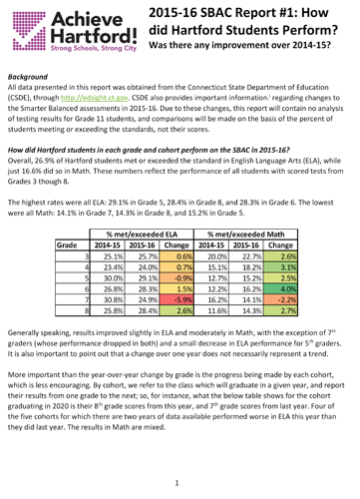 We started with a purpose to provide periodic reports on performance and needs of individual schools, collect management and performance data, and publish annual reports on school-by-school funding, resources, strategies, and results. 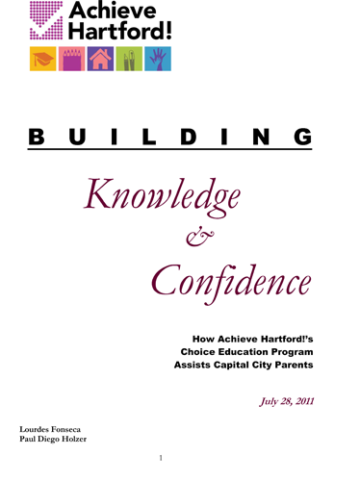 Achieve Hartford! took this approach in the early years, when we believed all necessary conditions to education reform to be in place. 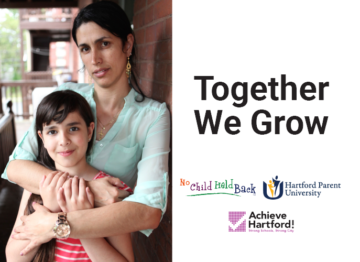 Achieve Hartford! gradually transitioned from Watchdog to Critical Friend during the Kishimoto era, when we believed that her lack of accountability to external stakeholders had driven the community to disengage from the reform. We continued this strategy at times during the Narvaez years, when we believed she was ready to partner and the community was not. The Community Partnership Activator is similar to the Critical Friend, except here it is the district which has left the table and the community which remains. Again, the core strategy is directive accountability. 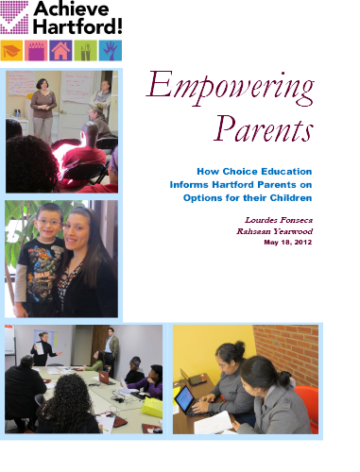 The organization pushes other community organizations into action, partly by helping them develop plans and capacity. 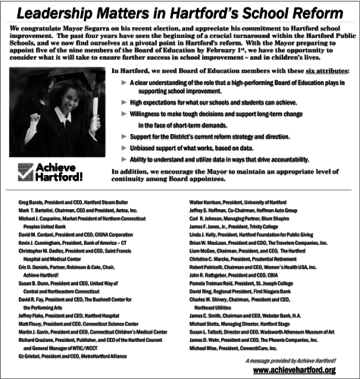 Achieve Hartford! sometimes took this approach in a limited fashion during the Narvaez years, when we believed the district to be disengaged. 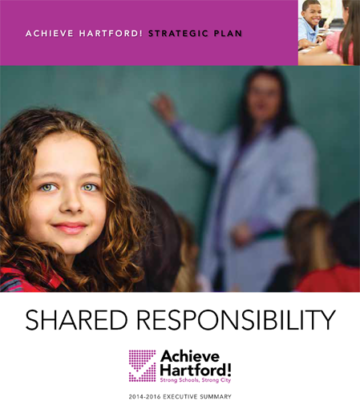 Achieve Hartford was launched to monitor, support and be a catalyst for education reform and to foster greater community involvement in the Hartford Public School District. Browse through our catalog to see some of the ways we achieved this goal.